1. FC Köln is not just any club. It is unique. The fans and members of this club do not walk away when the going gets tough. On the contrary, the total figure of club members increased even when the club was relegated to the second division. And even then, when most clubs may struggle to fill their stadium, 1. FC Köln was often sold out. 1. FC Köln knows when to be professional, but also knows when to have fun. This can be felt when Hennes VIII. enters the stadium on a home match. This can be felt when the team dresses up on Karneval, and even plays in a customized uniform. This can certainly be felt when a foreign player is welcomed and idolized by the people of Cologne as one of their own. 1. FC Köln represents the heart and soul of Cologne - the fourth largest city in Germany. 80% of the just about 1 million citizens of the city claim to have a vested interest in the club. The people of Cologne are a people that are proud of their city. The club is as much a part of the city as anything else. 1. FC Köln counts roughly 95,000 fans as official club members in the middle of 2017. With over 1,500 fan clubs, FC fans are all over the world. The club is also an important piece of the local economy, with business-ties to some of the biggest organizations in the Rhineland. That is what 1. 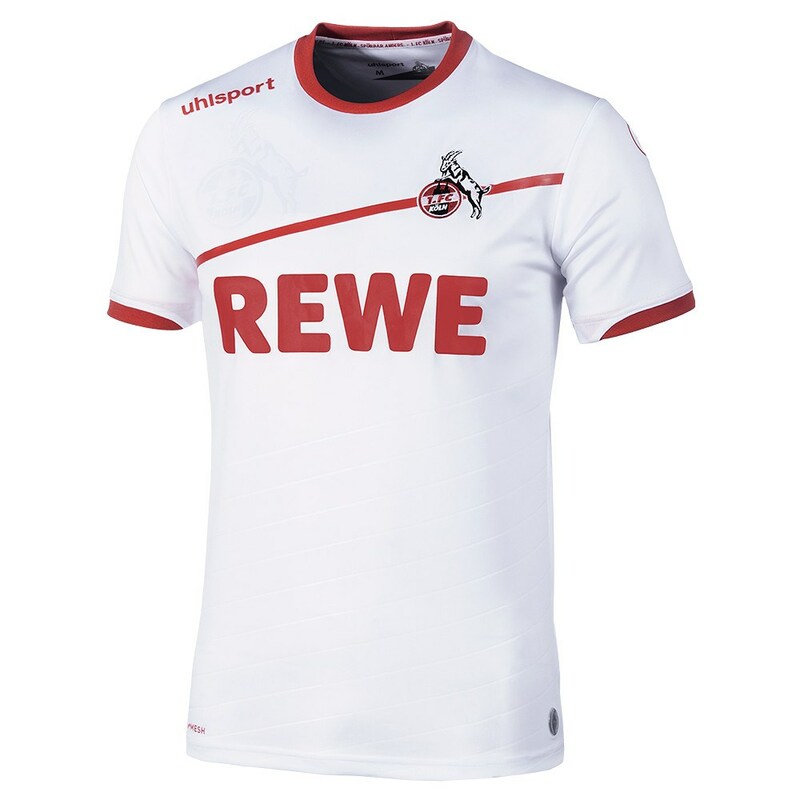 FC Köln is. That is who we are. That is Spürbar Anders: Just Different. The story of 1. Fußball-Club Köln 01/07 begins on February 13, 1948. On this day, Kölner BC 01 and SpVgg Sülz 07 fused together to form the biggest club in Cologne. The two clubs came together with a vision by the eventual club founder Franz Kremer, who wanted to create a club with which the entire city of Cologne could identify. The plan was set in motion when Kremer asked the founding club members, “Do you want to become German Champions with me?” 14 years later (1962), the dream was made into reality as FC, lead by the legendary captain Hans Schäfer, were crowned the champions of Germany. FC became a household name at this point, with an animal in its emblem, a restructured stadium, and the first club to hire a full-time goalkeeping coach. Franz Kremer was also a strong believer in the professionalization of football and was one of the instrumental figures in the founding of the Bundesliga. FC made history by becoming the inaugural champions of the Bundesliga by winning the 1964 season. Franz Kremer, who at this point was simply known as “the Boss”, was able to bring his vision to fruition. What followed were some of the most exciting years of 1. FC Köln. The club continued to compete for the biggest prizes on a yearly basis and achieved their most successful season to date in 1977/78. This is the year FC achieved the “double” by winning both the Bundesliga and the German Cup. FC came close to lifting the trophy on five other occasions, but had to settle for Vice-Champion in 1965, 1973, 1982, 1989, and 1990. The final step is often the most difficult, so the history of 1. FC Köln would not be complete without mentioning the near-misses. The close calls and the ups-and-downs are as much a part of the history of the club as the victories. 1. FC Köln is also a producer of some of the most talented and best-known talents in the history of German football. The list includes: Jupp Röhrig, Hans Schäfer, Wolfgang Overath, Wolfgang Weber, Heinz Flohe, Hannes Löhr, Dieter Müller, Pierre Littbarski, Thomas Hässler, Harald “Toni” Schumacher, Bodo Ilgner, and Lukas Podolski just to name a few. What else do they all have in common? All of them came up through the ranks of the FC Youth Academy. 1. FC Köln experienced their first ever relegation from the Bundesliga top flight in 1998. A major shock for the thousands of FC fans that have followed the club since the days in which they were the best in Germany. But one thing about FC fans is that they do not leave when the going gets tough. The number of fan clubs and official club members have only continued to rise, with about 1,500 officially recognized fan clubs and 95,000 club members to date. With some ups-and-downs 1. FC Köln find themselves playing in the top flight of the Bundesliga once again. The past 20 years were difficult times for the club but the founding years were those of joy and glory. 1. FC Köln look to establish themselves in the top flight and regain the success on which they were founded on under the guidance of Franz Kremer. Under the guidance of current head coach Peter Stöger, FC will compete in European football (UEFA Europa League) for the first time in 25 years. A circus director by the name of Carola Williams gave the club a Billy Goat as a good luck charm for the Karneval celebrations back in 1950. Since that time Hennes has become the most popular and recognizable mascot in Germany. He has even got his own fashion line – the Geissbock collection. The current Hennes, eighth of his name, has been serving as the honorary club mascot since July 24th, 2008. He can be visited by the fans in the Cologne Zoo, where he lives with his partner Anneliese. The club brought in a new decision-making structure in March 2002 with the founding of 1. FC Köln GmbH & Co. KGaA, which is in charge of all business operations. With this setup the club members of 1. FC Köln 01/07 e.V. were able to maintain their autonomous status and continue to be in charge of voting for the board members as well as the club president. 1. FC Köln is a club consistently in the focal point of media channels with about 1.5 billion contacts every year. FC features heavily in the media with four regional newspapers covering the team on a consistent basis. When counting all social media platforms on the fc-connect platform, there are over 1 million users following #effzeh. 1. FC Köln has won numerous awards for its multimedia platforms and innovative communication strategies.